video footage of the new album! Gabi Gąsior & Holy Noiz – “Bless And Magnify” – new video! 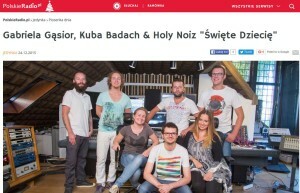 Gabi Gąsior & Holy Noiz – “Bless And Magnify” new music video was just released. We recommend you the behind the scenes video where you can see our preparations for the implementation of our Christmas videos. Gabriela’s & Holy Noiz second music video was just released. It has its premiere on the first day of Christmas. The song is called “Jezus Malusieńki”. 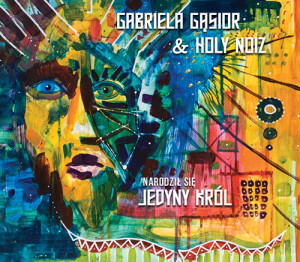 Check out the lastest video from Gabriela Gąsior & Holy Noiz! It was released on Dec. 24. “Hey, w dzień narodzenia” is the second single recorded by Gabriela Gąsior & Holy Noiz. It has its premiere on 19 December. “Święte dziecię” – song of the day in Polish Radio “Jedynka”!